Tired of burgers? How about a bao? Tom Tong in Tom’s BaoBao in Harvard Square. Chinese entrepreneur Tom Tong believes there’s dough to be made in dough balls. And he’s hoping Bostonians bored of the glut of burgers in Harvard Square will opt for his new offering: bao. 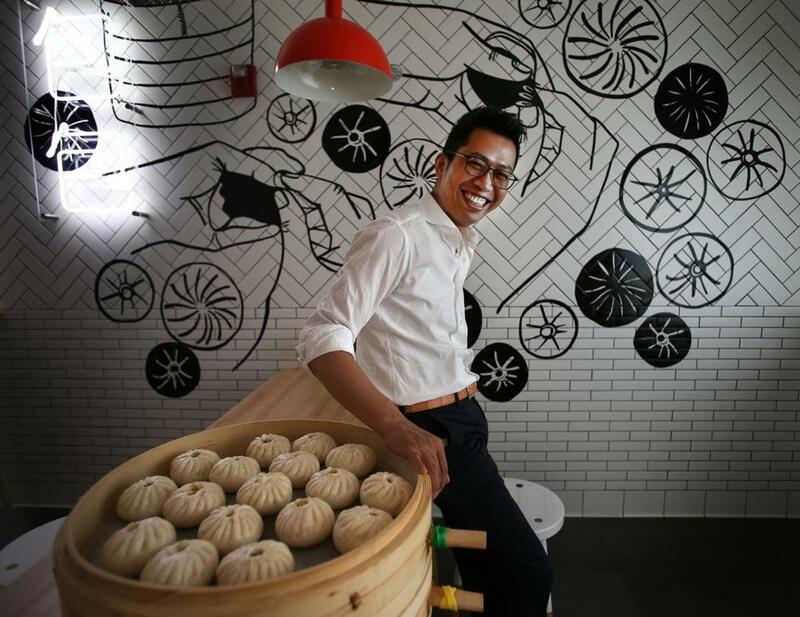 Tom’s BaoBao, an offshoot of Tong’s popular chain of 200 restaurants in China, is opening its first US outpost in Cambridge on July 12, and will serve fresh handmade steamed buns in traditional flavors like pork and curry beef, plus New England-friendly options like lobster. 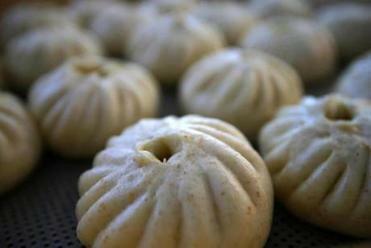 The company, which goes by the name GanQiShi Bao Bao in its homeland, was first launched in 2009, and now serves over 70 million bao a year, with annual revenues of $30 million. It’s found success in bringing upscale ingredients to the common Chinese dish, which can often be bought in street stalls throughout the country. The same principles have made fortunes for the founders of fast-casual restaurants like Shake Shack, Danny Meyer’s burger behemoth that now has locations in 10 countries outside the United States. And that’s part of the reason why Tong selected a site for his restaurant directly next door to the Shack’s Harvard Square hub on Winthrop Street. The bao is a steamed bun filled with pork, curry beef, and even lobster. “You think of the hamburger as the iconic American food. Bao is the quintessential Chinese food,” Tong said through his interpreter, Rosamond Lu, an MIT Sloan School of Business grad who will act as the chief operating officer of the company’s American outposts. Sitting in the stylish white-tiled storefront earlier this week, he pointed through the glass window where patrons will be able to watch the bao being made. “We think every aspect of the making is a very artisanal process that should be showcased,” he said. Tong, 41, is a longtime entrepreneur who grew up eating bao with his grandfather in his hometown of Wenling. The treats were originally a delicacy in the Song dynasty, he said, but in the past few decades, the softball-sized rounds of dough had fallen largely out of favor in China, in part because they had become overly processed as the nation became more industrialized. When they were machine-made and frozen, the bao were flavorless. “It was low class and it had fallen from its pedestal,” Tong said. So Tong set out to master the 1,200-year-old recipe, and now incorporates ancient methods into each dish. The bao are steamed in baskets that have been made for the past 800 years in a mountain village in the Fujian province, and sit on handwoven grass mats that help steep in the flavor. Every chef in the restaurants — Tong calls them baoists — must train for three months to learn the proper techniques, which involved hand-weighing each piece of dough and ensuring every bao has the proper number of folds around its crown. Such attention to detail has garnered accolades from foodies throughout China, and drawn over $12 million in funding from venture capitalists in that country. Tong, who has successfully launched businesses that range from footware and apparel stores to Shanghai’s largest Internet cafe, said he’s using his own money to launch his US operations. He’s been building the company in the Hope and Main food incubator in Providence, and plans to open a storefront there in September, using that location as a commissary for his expansion. But Tong said he selected Boston as his first international storefront because he immediately loved the city during a visit in 2014, and then learned that it was a sister city to his current home, Hangzhou. After opening here, he hopes to bring bao to 20 to 30 more locations in the next five years.